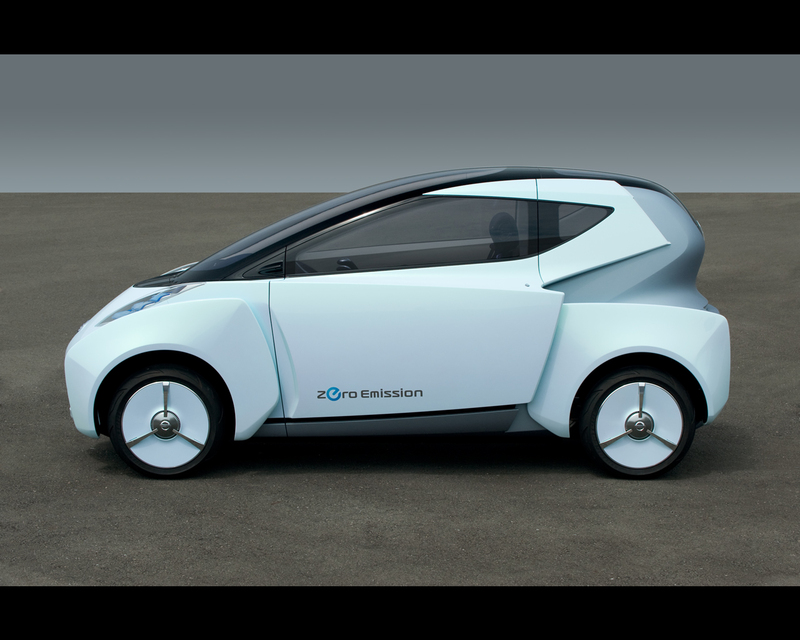 The 2009 Tokyo Motor Show was the occasion for the Renault Nissan Alliance to unveil the Japanese part of its ambitious Zero Emission Electric Car Program. 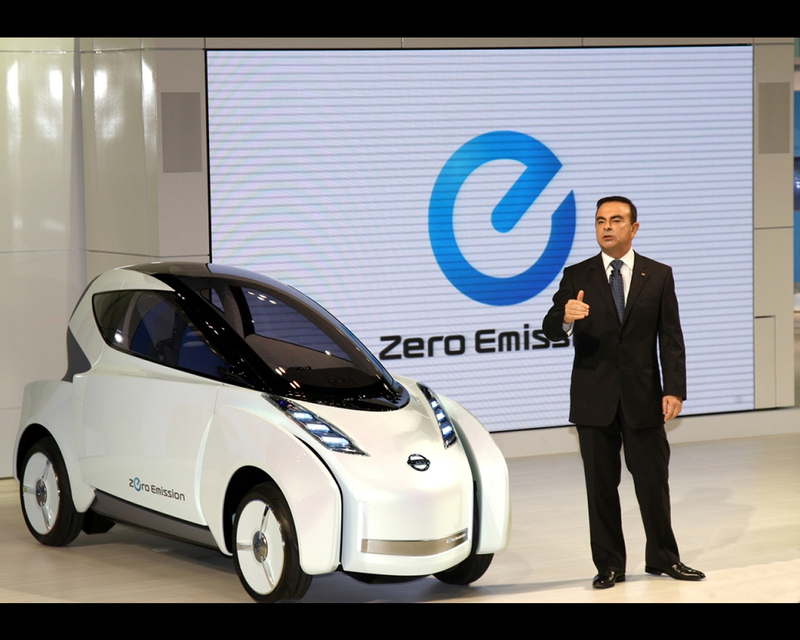 Together with the Leaf Electric Sedan, Carlos Ghosn, Chairman of Renault Nissan, introduced the Nissan Land Glider Electric Urban Mobility Concept. 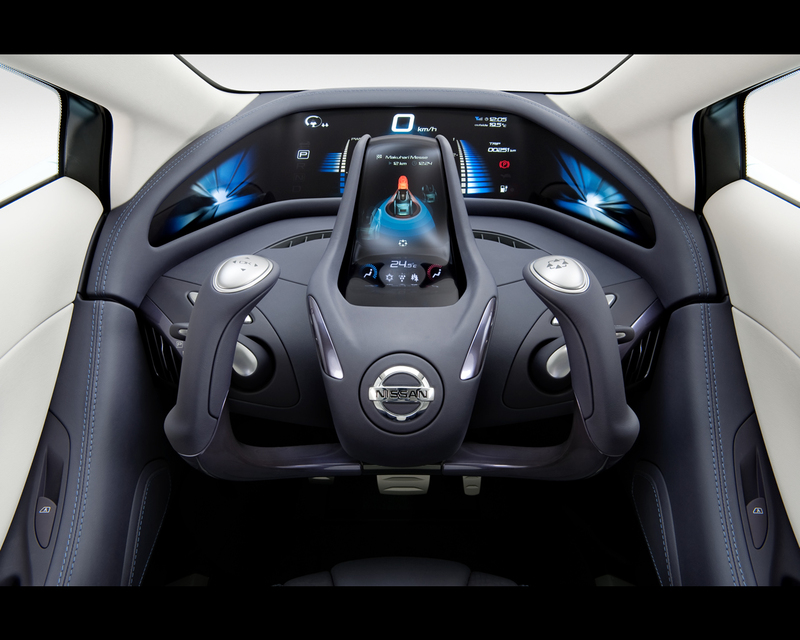 See Nissan Leaf electric car prototype and Renault Nissan Alliance Electric Car Project for further details and illustrations. 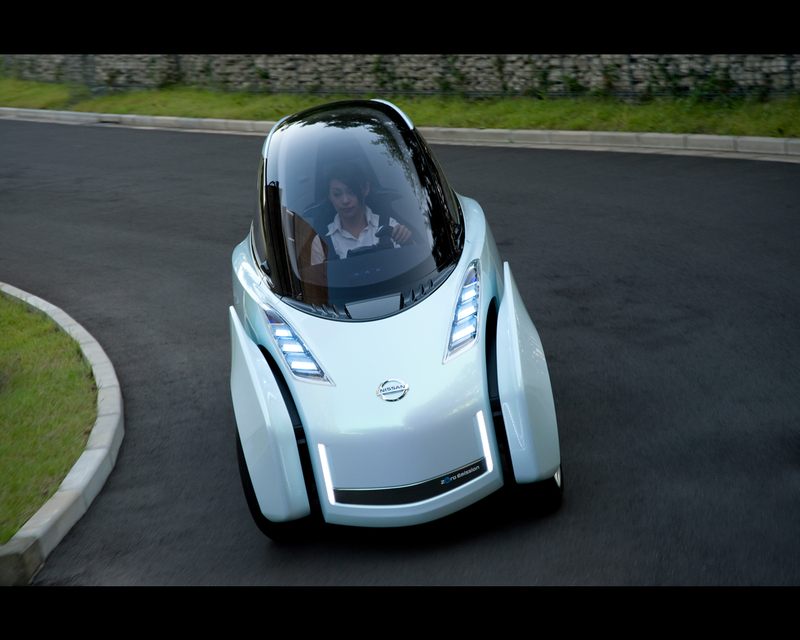 The Nissan Land Glider Concept is an illustration of a new idea of zero emission urban mobility with two seats in tandem in a motorcycle-like architecture. 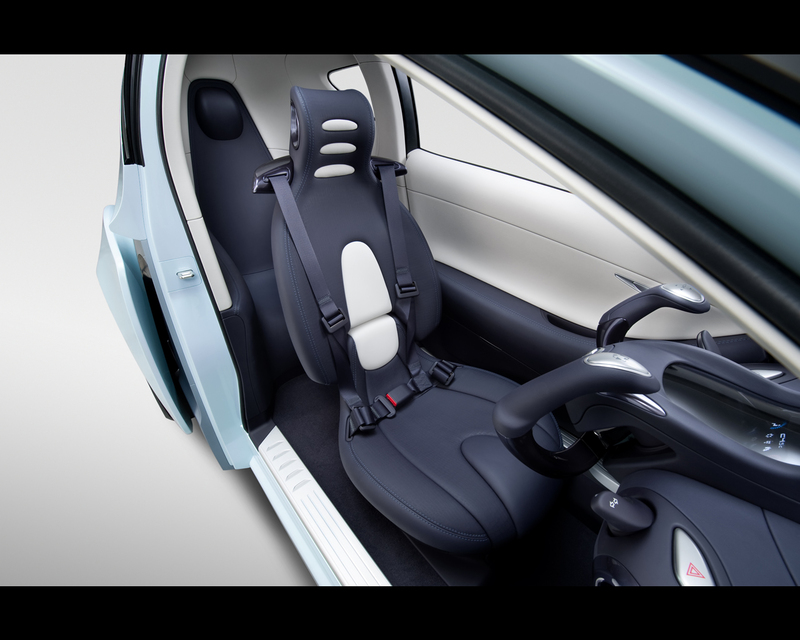 Here the passengers are protected by a closed body for all weather protection. 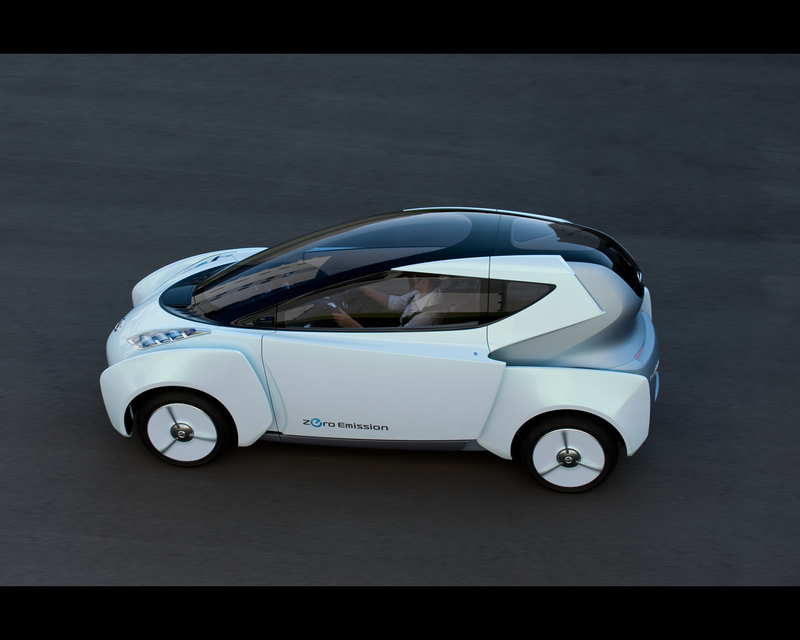 The Renault Twizy concept introduced at 2009 Frankfurt Motor Show is another attempt in the same style (see Renault Electric Car Frankfurt 2009 for further details and illustrations). 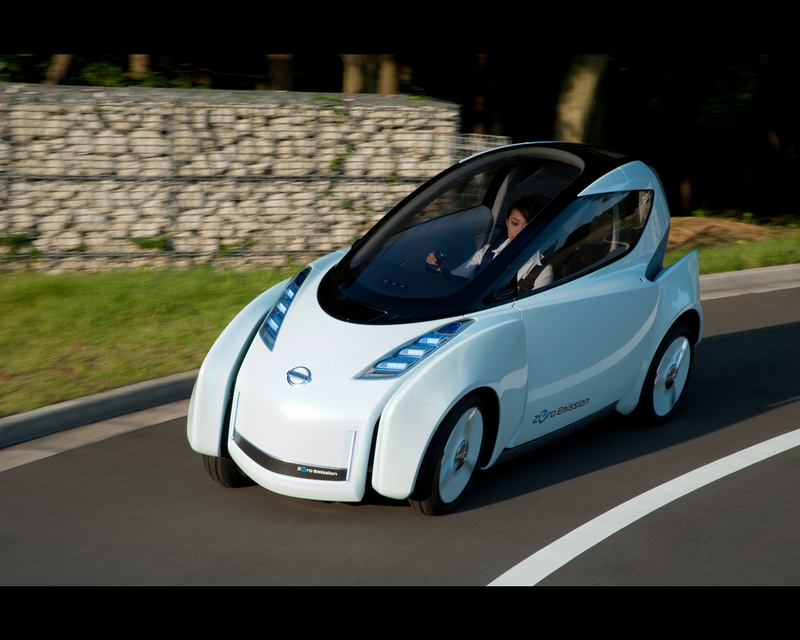 The Nissan Land Glider concept, however, has a body tilting possibility for further stability in curves. The body can tilt at angle up to 17°. The principle behind such concept is that more than 50% of the population live in cities where transportation allows for original solutions. 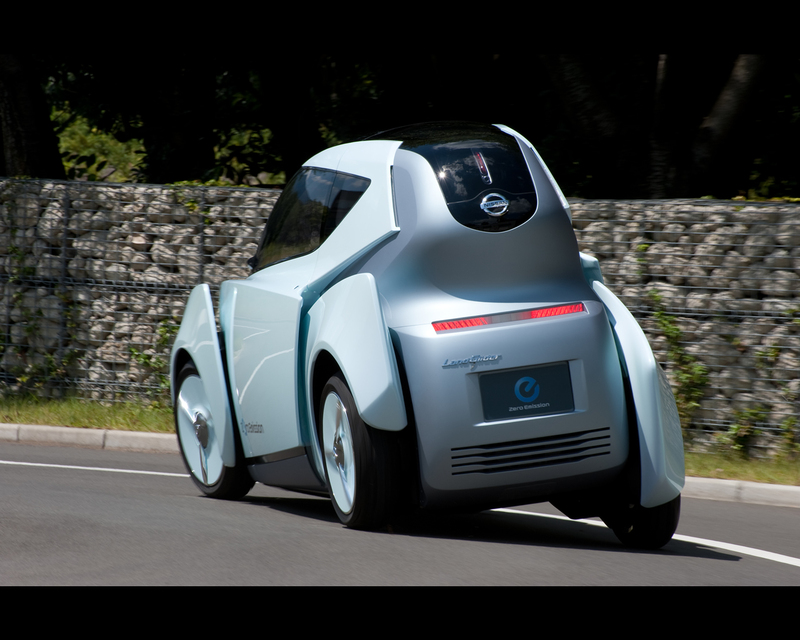 The success of motorcycles in city transportation guided the designers in this new urban mobility concept. 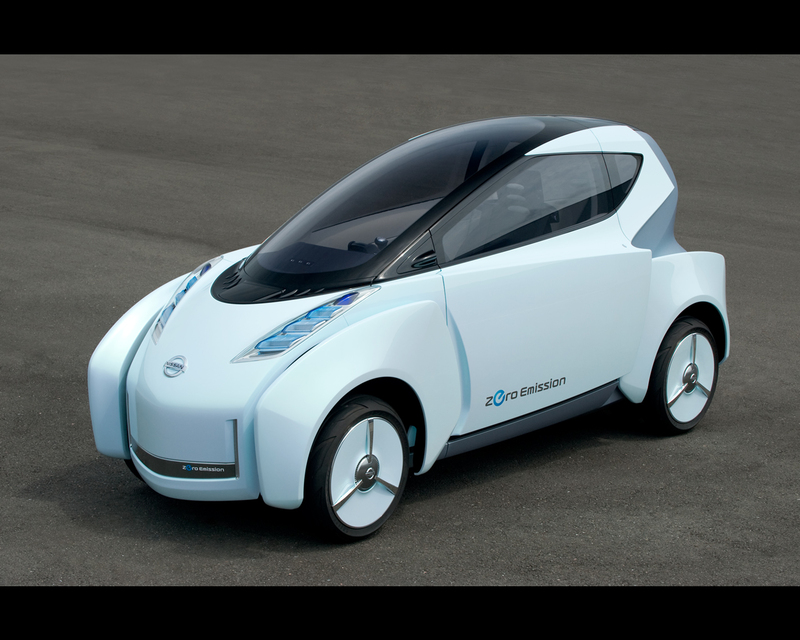 The Nissan Land Glider has its Lithium ion battery located under the floor for optimizing the center of gravity. 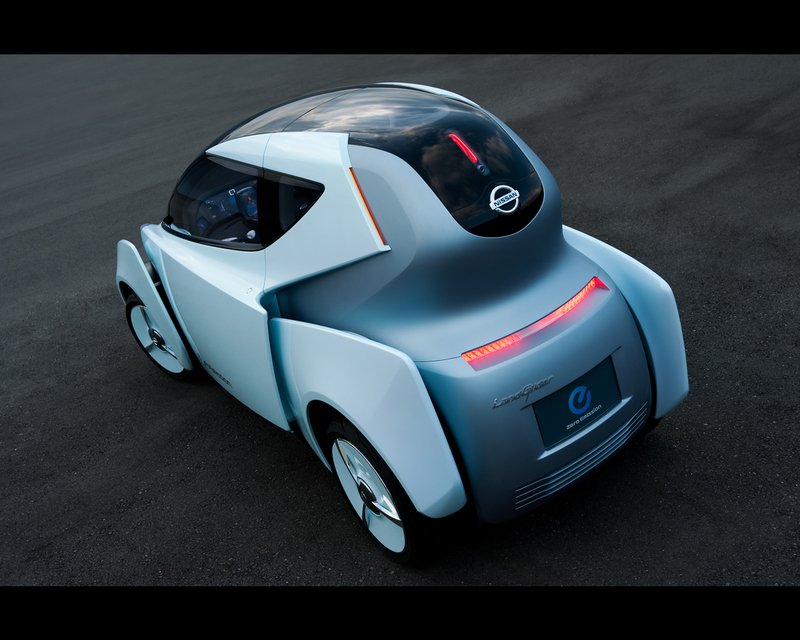 There are two electric motors on the rear axle. 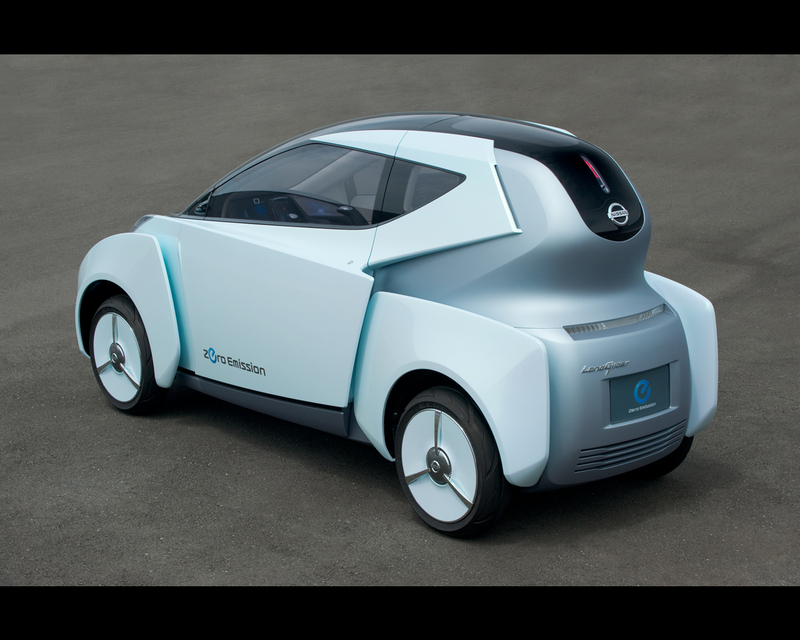 The Nissan Land Glider is equipped with a collision avoidance electronic system where sensors implemented in the body identify other vehicles and obstacles on the path of the Land Glider and act on the vehicle commands in robot-like pattern to move the Land Glider away of potential obstacles. Dimensions: Length 3100 mm, width 1100 mm, height 1415 mm, wheelbase 2180 mm.